This appears to be Volkswagen’s next SUV, either a long-wheelbase China-only version of the Tiguan, or VW’s future Crossblue big crossover. It’s hard to tell, because it’s so dull that VW disguised it as a Kia. 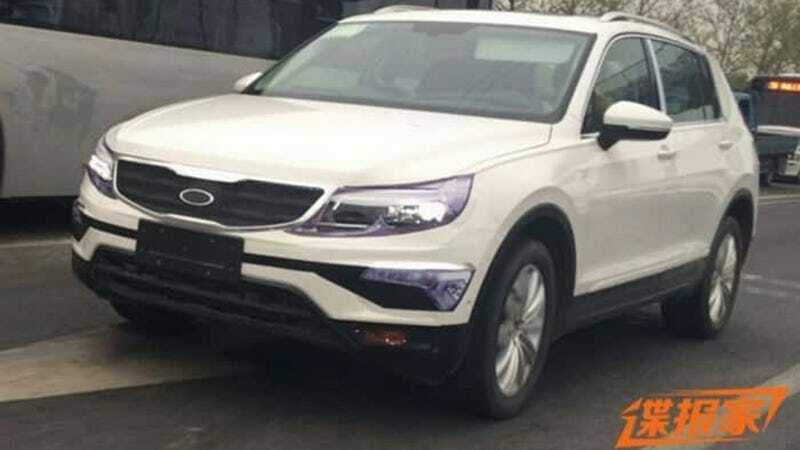 These pictures turned up on VWVortex and CarNewsChina, originally sourced (I believe) from Chinese site Autohome.com.cn. The former believes this is a Tiguan, the latter believes this is a future Crossblue. All I think is interesting is that VW put what is clearly a Kia grill, along with fake Kia-lookalike headlights and taillights as a means of obscuring what car this really is. What’s funny is the VW looks so anonymous there’s hardly any difference.